Girl, we have all been there. 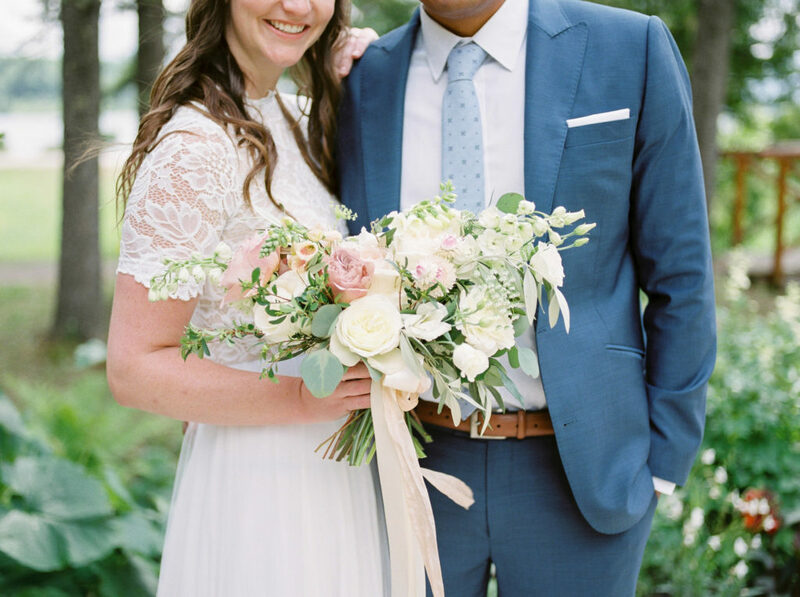 Almost all my couples have told me that if they go to a friends wedding leading up to their own, they will take mental notes about what they liked and didn’t like about that wedding. This can be things like the order of events, colour scheme, or first dance song. Keep in mind that this doesn’t have to be a negative thing! 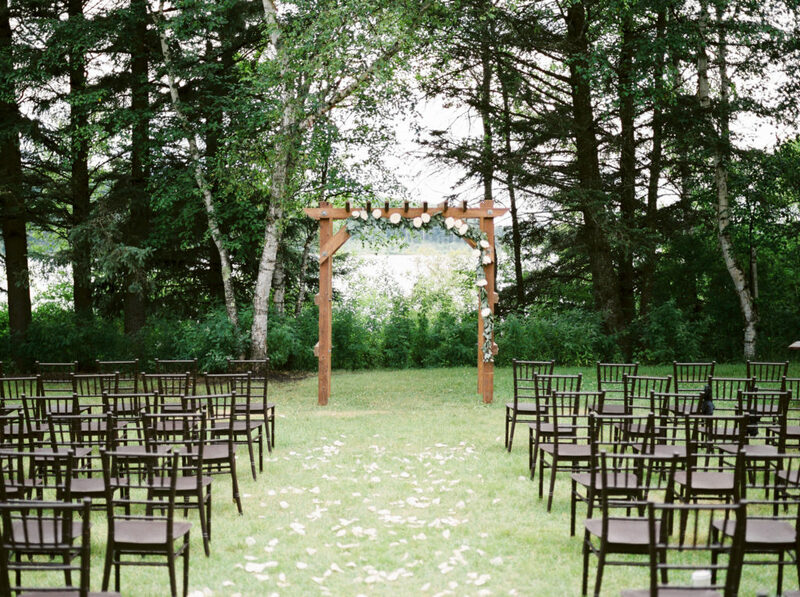 You could go to a wedding and adore how they changed up their wedding day timeline. 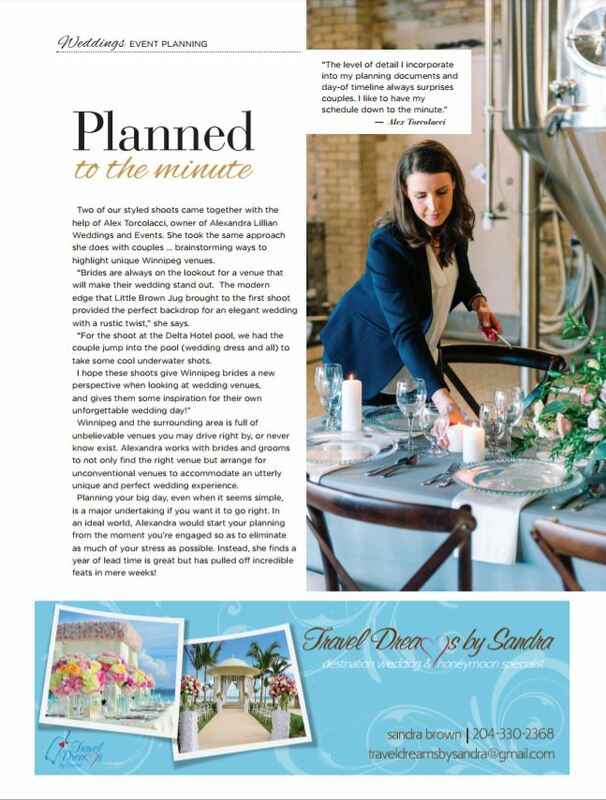 Let your wedding planner know about what you like and don’t like from those weddings. Your planner will be able to create a theme or timeline that works best with your vision! Becoming engaged is such an exciting time. When you get engaged A LOT of people come out of the woodwork and tell you how things should be done on your wedding day. 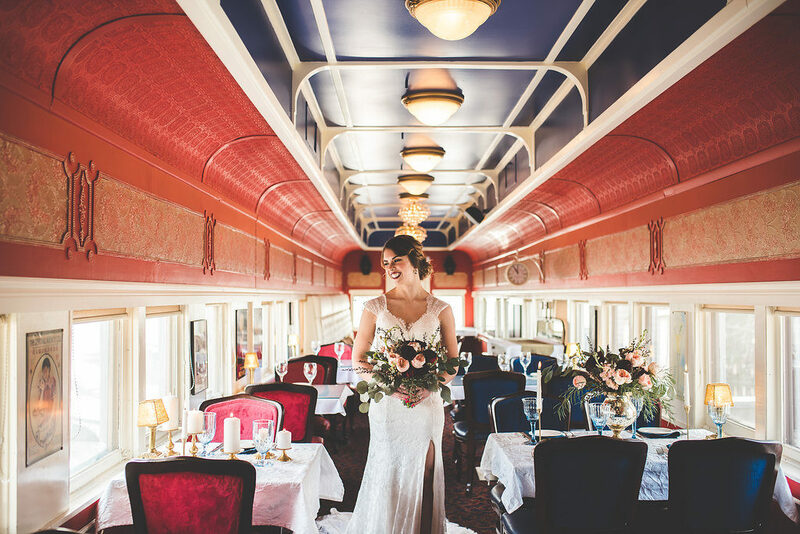 Auntie Sally believes you should do X, Y, on your wedding day, but then your friend Dayna thinks that the perfect wedding day should include A, B, C. As a bride, don’t be afraid to be straight forward and direct about what you want YOUR wedding day to be. 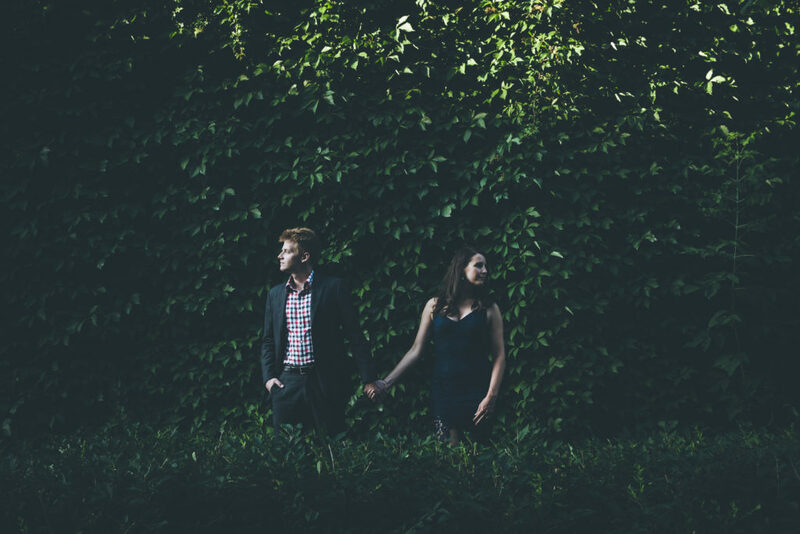 Friends… If you have a bestie that’s engaged and your already married, do them a favor and hold back from overwhelming them with a zillion pieces of advice unless they ask. Who gives a F*&^ what your guests want, this day is about you and your hubby. 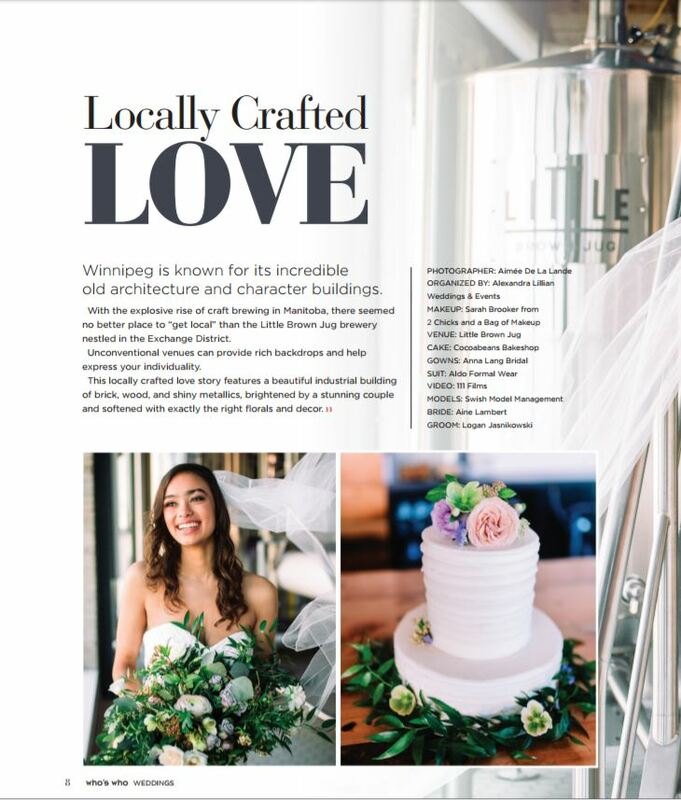 This mindset of truly personalizing your wedding is becoming more popular and we at ALWeddings are totally on board! 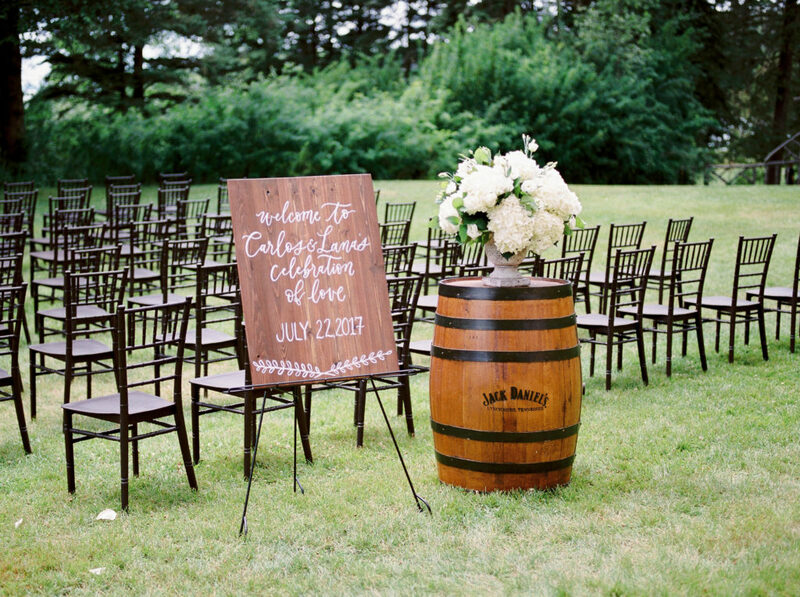 Your wedding doesn’t have to follow any rules. If you don’t want traditional stationary then don’t, or if you don’t want to do dances then don’t! 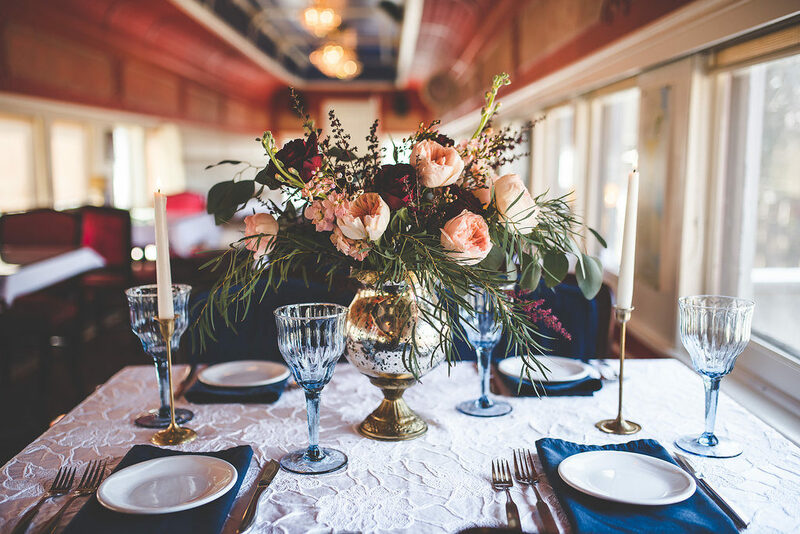 To be honest, as wedding planners we start salivating when couples come to us saying they want an nontraditional wedding. This means we get to flex our creative muscle and design an epic wedding that matches our client’s vision. or a good (happy) cry. 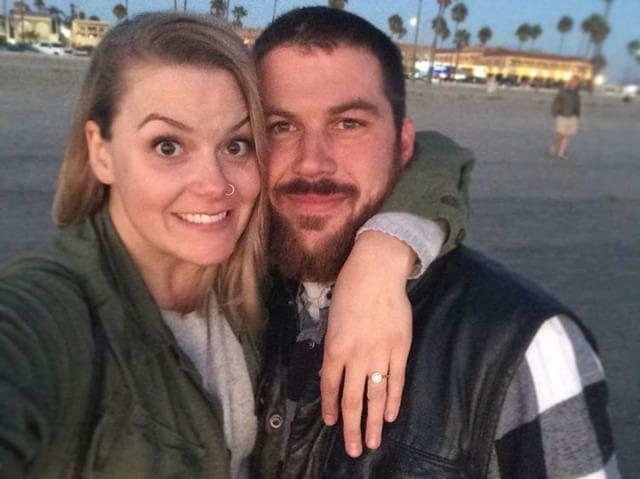 This week’s installment is extra special, as I’m featuring a he said, she said of a proposal. This gives you a cool look into the thoughts going through their minds leading up to the proposal. “Stephen has always been a bit of an open book to me and so the summer of 2015, I knew something was “up”. It was also the summer my sister was getting married. Stephen of course was invited to the wedding and would meet my whole extended family for the first time that year (we are quite dispersed throughout the world) and both of us were feeling it a bit inadequate to just introduce him as my “boyfriend” when we had already been together for 4 years and knew we wanted to be together forever. 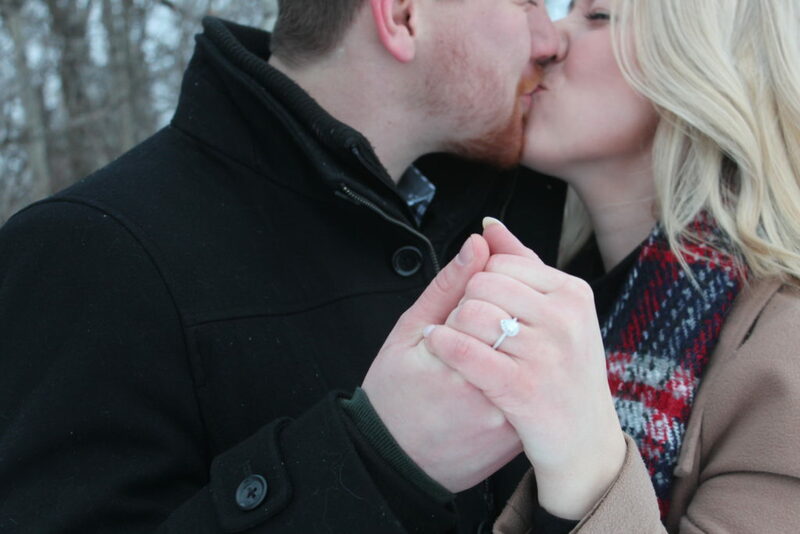 Unbeknownst to me, when he got back from medical school in Ireland that summer, the first week back he invited my parents out for a walk in Assiniboine park to ask their permission to ask me to marry him. Four weeks later, Stephen decided to surprise me with a dinner. I was immediately suspicious, but Stephen just said it was a dinner but refused to tell me where it would be, so I let it go and decided that it was probably just a dinner and not to get my hopes up. The other important thing was that Stephen knows I love to document special occasions, trips, and nights out, so I always take tons of pictures. 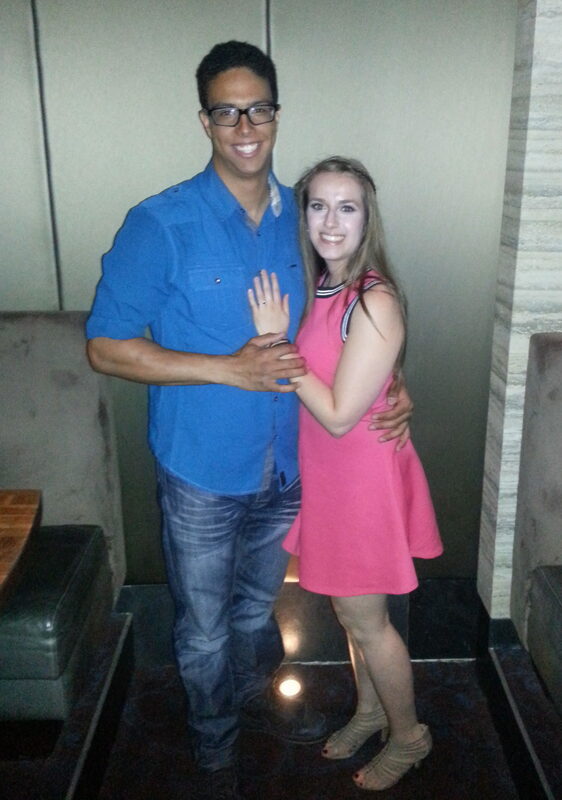 He also knew that I would hate to look bad when he proposed to me, or to be dressed down. So the same night of that surprise dinner, I was going for a makeup trial for my sisters wedding (not a coincidence! Stephen made sure he was going to propose to me that night so I would look my best in the pictures!). So by the time we got to the restaurant, I was wearing a dress, heels, and had had my full makeup done. “For her engagement ring Anna had wanted something different. She always looked at different ring designs. When she came across the black diamond concept she loved it (she always said she hated yellow gold and yellow diamonds). She had hinted strongly that she loved the princess cut style. Once I had a basic idea of what she was looking for, I realized that jewellers would most likely not have the ring I wanted to give Anna in stock, so I went to Vandeburg jewellers since they make custom rings. I wanted The black diamond to be show cased, so I picked a princess cut with bold lines, with a ring of white diamonds and 6 white diamonds in the band. This was the final design. I went back and forth with adding some smaller black diamonds in the ring, but as I mentioned before, they detracted from the main diamond. 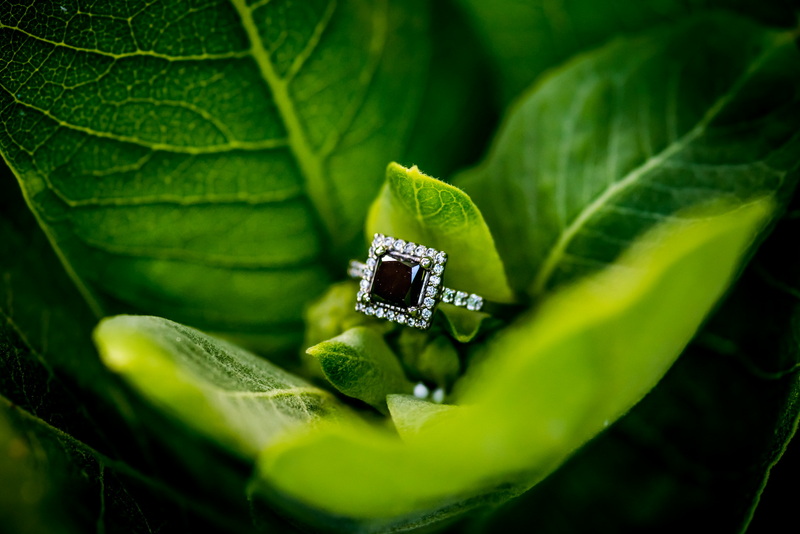 when I first saw the final product, the black diamond really popped so I was I knew it was perfect! 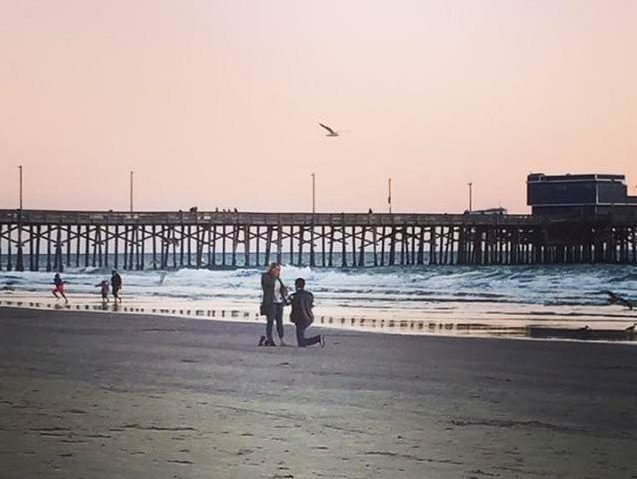 On the night I was going to propose, I couldn’t even think straight. I was shaking and nervous and couldn’t focus. A lot of guys say they already know what the answer will be then ask, but part of me was terrified for a “what if she says no” scenario. I had called ahead to make a reservation, so the restaurant knew why were coming; they put us in the corner and ensured the tables around us were empty. I can’t remember exactly what led to what, but at one point Anna had said that she was a bit disappointed, not in anything important, but something had happened. I said “I think I can make your night better” Then I got down on one knee and asked. She said yes and I almost dropped the ring putting it on he finger because I was shaking so much. I kissed her after and then we started calling all of our friends and family. I’m so excited and honored to be blogging today about Blue Nile Inc. They are one of the largest diamond distributors on the planet and traded on the NASDAQ. 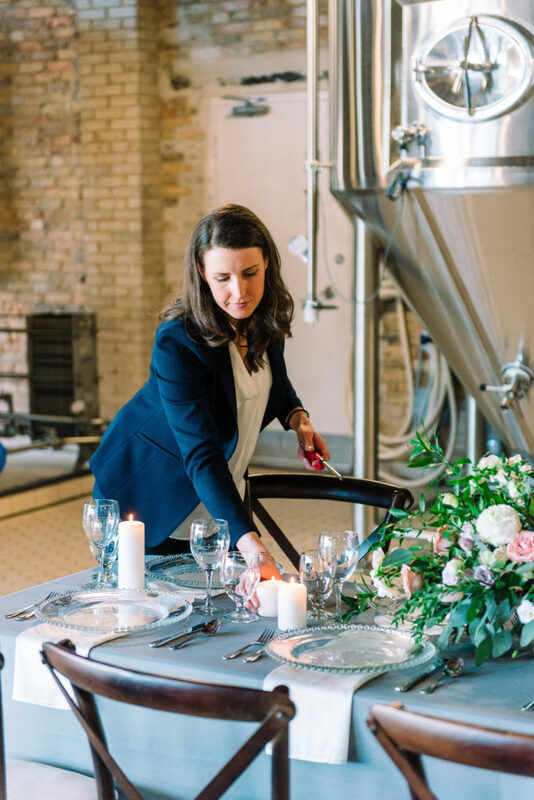 When I first decided to launch a blog series about engagement season, I had a gut feeling to get an interview with their company about diamonds. On a whim I emailed Amanda, their Public Relations Manager for an interview. 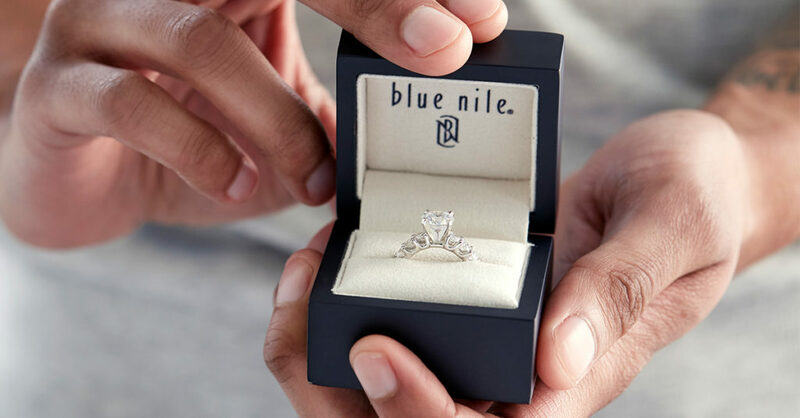 Blue Nile is a massive company and I wasn’t 100 % sure if I would receive an email back. I was over the moon when Amanda emailed back. This says a lot about their dedication to customer service. What makes this company so special to me is that I have a personal connection to the brand, as my engagement ring is from their company. Do Your Homework. You don’t have to be an accomplished gemologist to buy a diamond, but you must take the time to do research. The No. 1 fear diamond buyers have is – will I get ripped off? With a little research on the education sections of sites like BlueNile.com, you can quickly become knowledgeable. In fact, you’ll end up knowing more than any behind-the-counter jeweler. Of The “Four C’s,” Don’t Sacrifice Cut. A diamond has four major characteristics – Cut, Color, Clarity, and Carat weight, known as the Four C’s. Taken together, they determine a diamond’s quality and price. All are important, but cut is the most critical because it determines a diamond’s brilliance (sparkle). Even if a diamond has perfect color and clarity, if it has a poor cut, it will appear dull. And a more sparkly diamond = a bigger-looking diamond. Buy Shy to Save Big. Diamond prices increase disproportionally at the carat and half-carat marks, so shoppers should try to buy just shy of these levels. For example, instead of a one carat diamond, look for a .95. That will save a significant amount of money, and the slight size difference will never be noticed – especially if it has a high-quality cut. Find the “Sweet Spot.” As a diamond’s color and clarity grade improves, its price increases. But at a certain point the human eye cannot detect the difference in grades. That makes paying for perfect color and clarity like paying someone to paint the bottom of your house. For the best value choose a near-colorless (graded G-H) instead of a colorless diamond (graded D-F), or an eye-clean VS2 clarity grade as opposed to a Flawless clarity grade diamond. Make Sure It’s Legit. Guess what? Diamonds are not created equal. Insist that the diamond have an independent grading report from the GIA (Gemological Institute of America). The quality of diamonds accompanied by these grading reports is considered guaranteed. Independent grading is important. If the grading report comes from the jeweler itself, it’s a bit like the fox guarding the hen house. And of course, pay attention to return policies and whatever you do don’t put it in the dessert! No one wants to wear a sticky ring. You found the perfect partner, now it’s time to find the perfect ring. I know shopping for an engagement ring can be daunting, but consider these five points to make the shopping process a breeze. Rumor has it that you should budget two months salary when purchasing an engagement ring. This amount can range significantly depending on your career. Spend what makes you feel comfortable and does not put you in significant debt. On the International Grading Scale diamond colour can range from exceptional white (the best) to tinted in colour (the worst). When choosing the colour you need to keep in mind the type of metal band you would like to use, and the cut of diamond. The lighter the metal you use, the more colourless the diamond should be. This will really make the diamond pop in contrast to the band. The cut of diamond also dictates the ideal colour. A round shape should have less colour than an oval, marquise or pear due to how the light refracts. The carat (weight) of the diamond can often be confused with the size. The majority or rings mined in the world are less than a carat. Diamonds over a carat a more rare, and it’s even more rare to find a diamond over a carat with excellent clarity. There is a give/take when looking at diamonds. You have to think of what is most important to your soon-to-be fiance; quality or size? The larger the diamond, the larger chance it has imperfections. The clarity of a diamond is judged by its amount of inclusions (imperfections). On the International Grading Scale it ranges from FL (the best) to I3 (the worst). Don’t worry guys, it’s not the end of the world if your favorite diamond has an inclusion. Unless the diamond is of poor quality, inclusions are only visible with a 10x microscope. Want an extra sparkly diamond? The cut of your diamond will depict how sparkly it will be. The ideal cut will gather and reflect the most amount of light from the top. If a diamond is too shallow or too deep it will not reflect light back out the top, causing it to sparkle less and appear dull. Popular cuts include; round, princess, cushion, marquise, emerald, radiant, pear, oval and asscher. 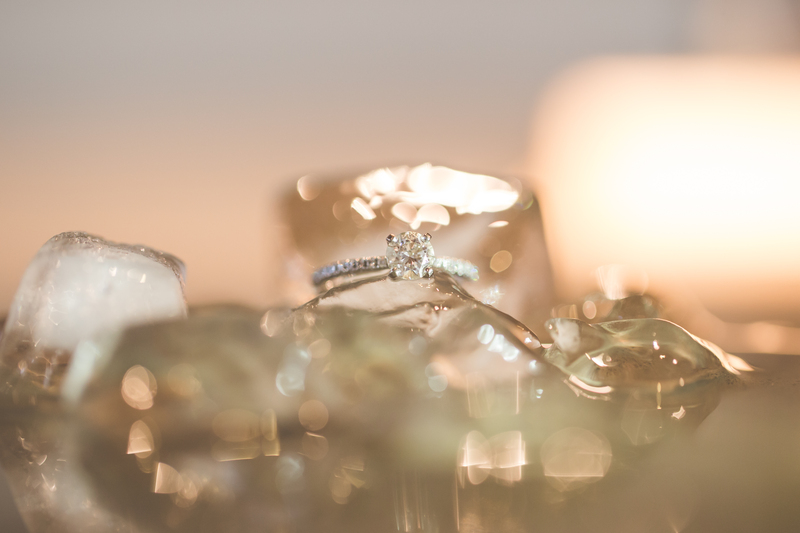 I hope this post has helped educate you on what to consider when purchasing an engagement ring. Over the next couple of weeks I will be highlighting key engagement ring tips and tricks from both local and international experts. HAPPY SHOPPING! Click here for proposal inspiration. or a good (happy) cry. 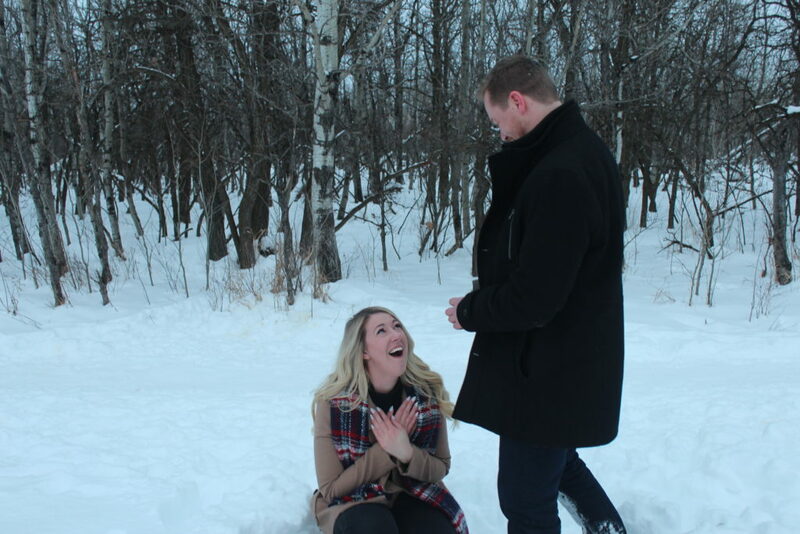 Hope you enjoy these two proposal stories! “I was bugging Nick to get engaged for about the last six months, but I didn’t think by any chance we’d actually get engaged until about this coming spring. I was just being annoying. He always told me that he thought Christmas time engagements were so “obvious” so he didn’t like them. But I love Christmas engagements! So I really really did not have a clue. My friend Kayla is a photographer, and we’d been saying we’d do just a couples shoot one of these days and we never got around to doing it, so a few weeks before New Years she casually said maybe we should do it New Years day because everyone’s off work. So we made that plan pretty loosey goosey, sure we’ll do it if it’s nice out and it all works, if not whatever. Little did I know, Nick and Kayla had it all set up from beginning to end and managed to make it seem completely casual. So on New Years day, we left to go meet Kayla at Assinaboine Forrest, argued all the way there about how to get there and by the time we did get there, me and Nick were basically not speaking! So we meet Kayla, and head out to take some pictures, listening to Kayla tell us how to pose “hand here, foot there, etc etc”. All the while Nick has this giant ring box stuffed in his sock and is trying to make sure I don’t see it. If you look in the photo’s you can see a big square sticking out of his ankle! Now onto planning the rest of our lives together! Welcome to the fifth season of the year, engagement season! 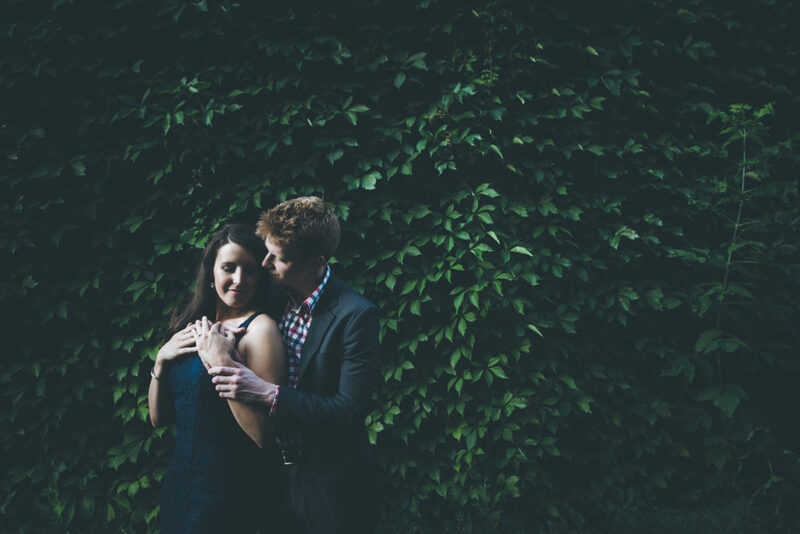 Did you know that 40% of engagements happen between November and February? That means we are in for a lot of love over the coming months! 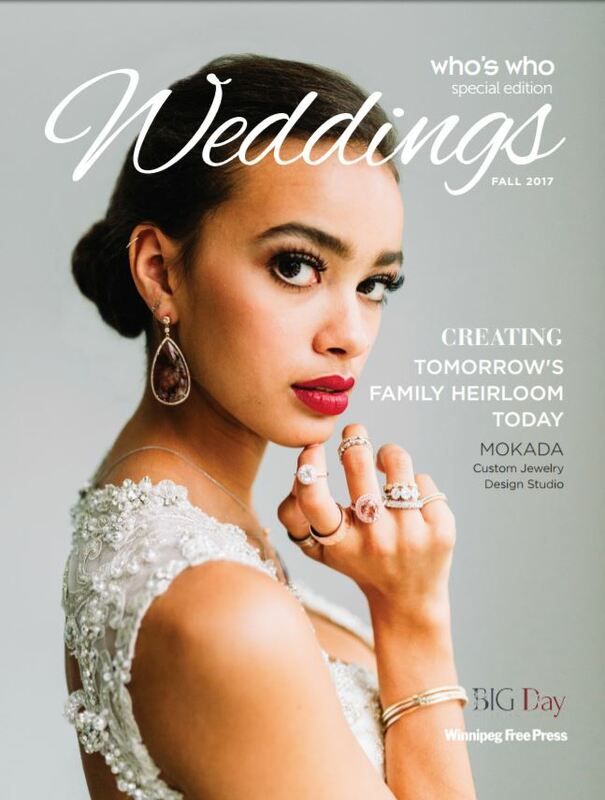 Do you or anyone you know hope to get engaged this season? In November and December I will be curating blog posts to educate and inspire you on purchasing a ring, planning the proposal, and the first steps in planning your wedding. My goal is to make the engagement process fun and exciting! Already engaged or married? Over the next couple of weeks I will be sharing real people’s engagement stories. Psst… One of my favorites includes riding a motorcycle down the Pacific Coast Hwy! Want to have yours featured? 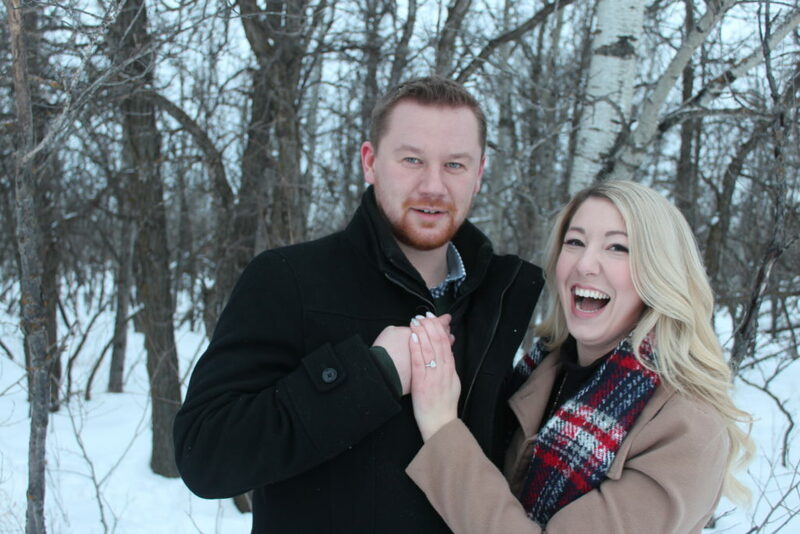 Send your engagement story to me at alex@alweddingswinnipeg.com. CLICK HERE to see a special love story!